We've long lauded the unending list of benefits of coconut oil, especially when it comes to taking care of your skin. But it turns out there's another (albeit lesser-known) oil out there that boasts anti-aging benefits and promises to leave your skin replenished and silky-smooth. Why is this not in my life, you wonder? Well, it's about to be—a nonprofit entrepreneur stumbled upon the under-the-radar skin savior and is bringing it to the beauty world. While strolling through a marketplace in Northern Uganda shopping for a remedy to treat her parched skin, Leila Janah came across Nilotica balm. The pure, nut-based oil is a rare type of shea butter that boasts 25% more oleic acid. 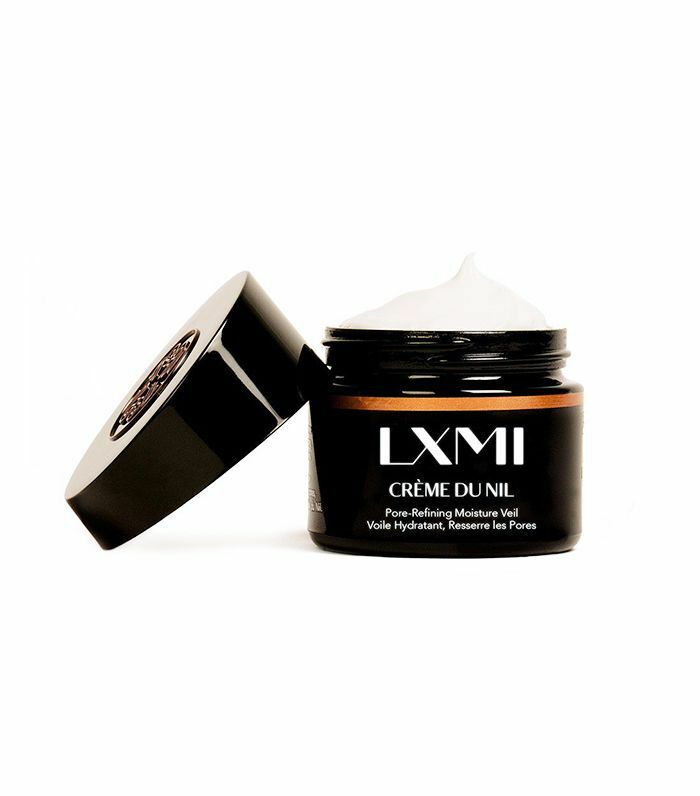 "I started using it and I fell completely in love with this ingredient," Janah recounts to W, describing her decision to launch LXMI, her two-product line of Nilotica creams: Pure Nilotica Melt (a concentrated balm) and Crème du Nil (a daytime cream). The texture is amazing, we add nothing to it, and we get a balm. "People in Uganda have been using it for millennia, particularly as a massage cream," explains Janah. "Women in the region are known for their incredible skin, even though they're all working in the fields every day under the hot sun, they have this velvety skin." Locals credit their beautiful skin with being massaged with the nut since they were babies. The original formula is cold-pressed oil derived from locally grown nilotica nuts harvested from 20-year-old trees that line the Nile River. It nourishes skin without stripping it of its natural oils, instead adding essential fatty acids. The LXMI version maintains this composition. 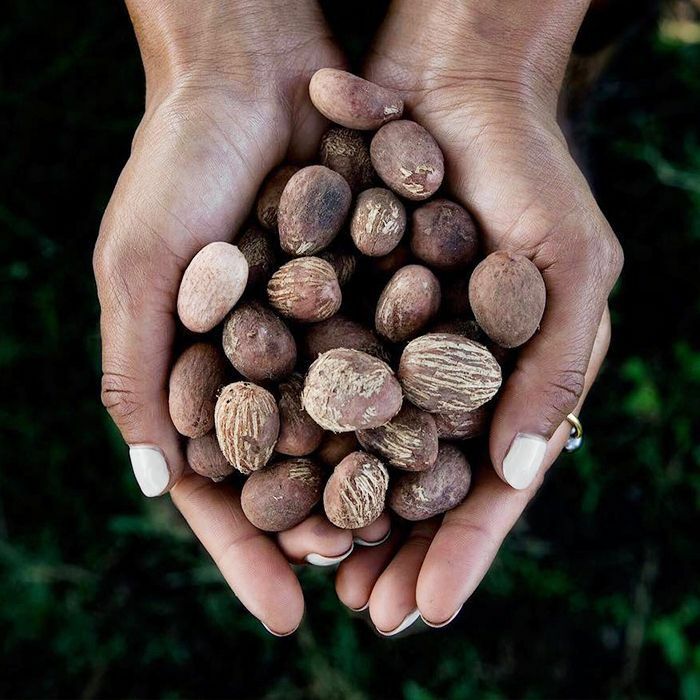 "Our nilotica has a special grading process, and we use a special extraction process which yields the best unique creamy texture and maintains nutrients," which Janah mantains are 100% organic, additive-free, raw ingredients from Uganda. "The texture is amazing, we add nothing to it, and we get a balm," says Janah. "It's packed with vitamins A, E, and K, so it's a great way to get these vitamins into your skin." "When I started researching nilotica, I learned how toxic the other stuff was," Janah explains. "Nilotica is completely pure and grows in the wild in an environment that has no industrial pollution of any kind, because there's no commercial agriculture happening there. It's the most pristine environment." Many of the harvesters she hires are local war widows, and LXMI ensures they earn at least three times local wages, "so it is a win for the consumer, and a win for the community, who for the first time are able to earn an actual living," says Janah. Another bonus? Nilotica is completely edible, and you can reap the benefits of its vitamins and essential fatty acids by digesting it. "You can eat the product right from the jar," insists Janah. "I was on QVC and I made truffles with my nilotica product." 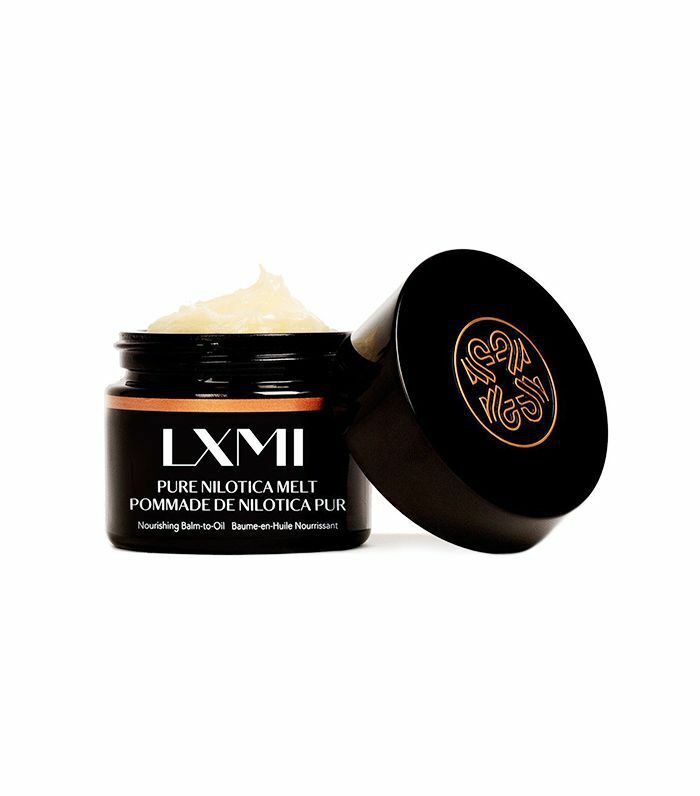 Keep scrolling to check out the first nilotica products available in the U.S.
For more global inspiration, check out the seven genius beauty tips we've learned from around the world.